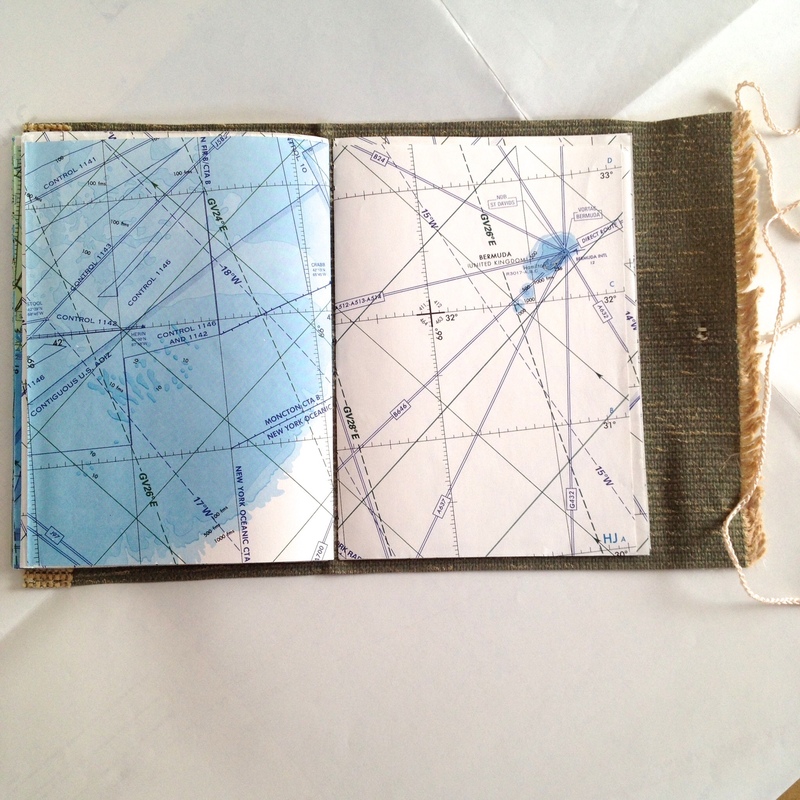 Made several Travel Journal Art Books this past week. It’s a journey in itself where art takes an artist. I never thought to create a handmade book but once I started how could I not? Such an easy extension from my love of reading I wonder why I haven’t put together handmade books earlier. 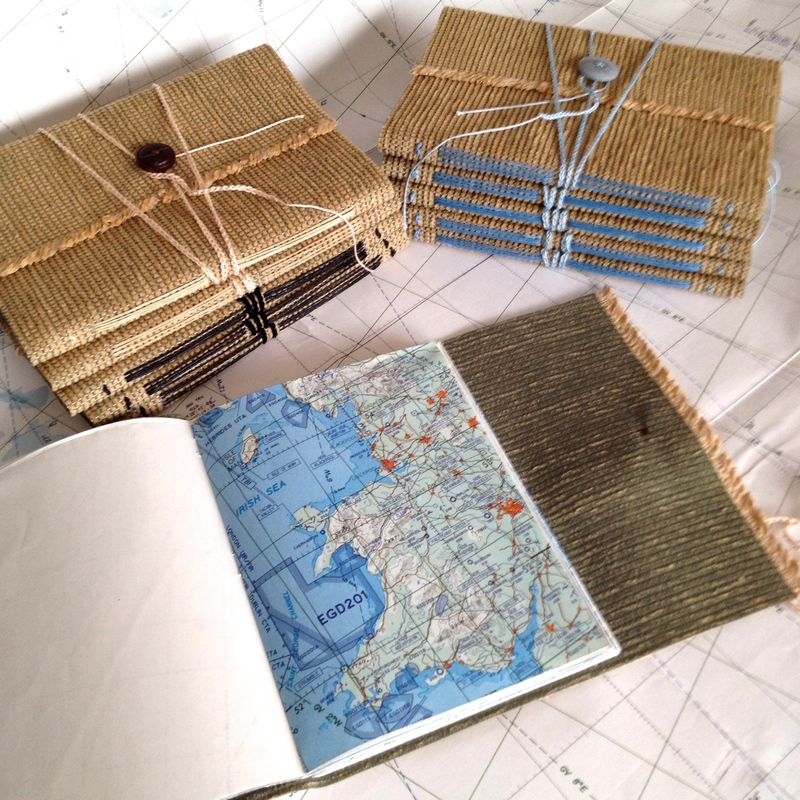 Recycling Worldwide Maps and tough upholstery fabric create a lightweight journal that is easy to toss into your backpack for your next adventure or for kids off to Summer Camp. 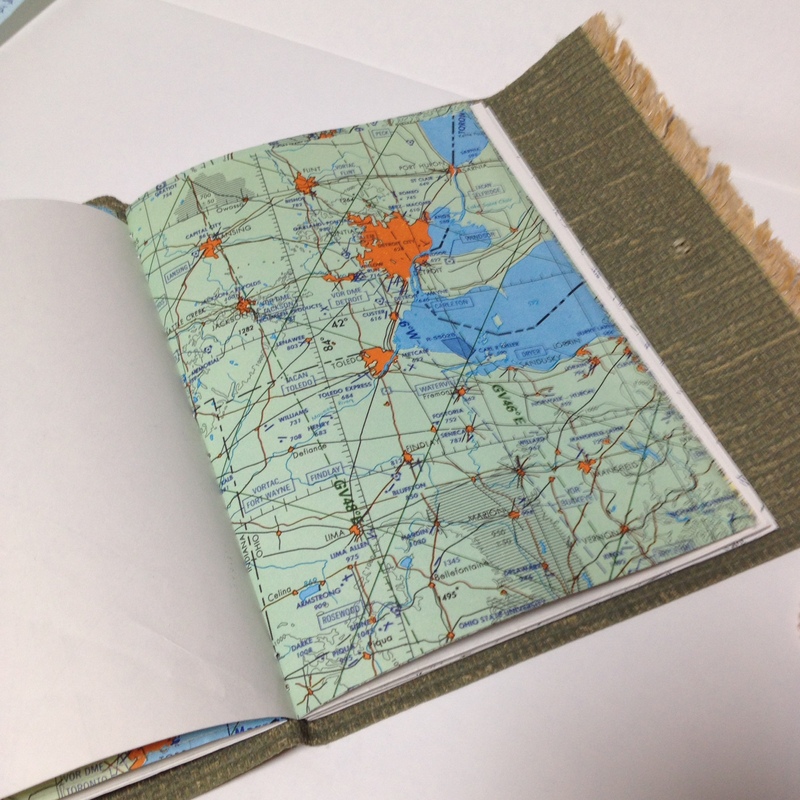 Each page is about 5″ x 7″ with one side blank and the printed map on the reverse. Pages have been chosen at random in random order to offer a variety of spaces for a variety of travel needs. Each of the pages offer longitude and latitude for searching where in the world some of the pages are. That’s awesome! I really want to make my own journals. Will visit your Etsy store. Thank you ever so much, I really did enjoy making them and encourage you to try making ones that you would love to use!